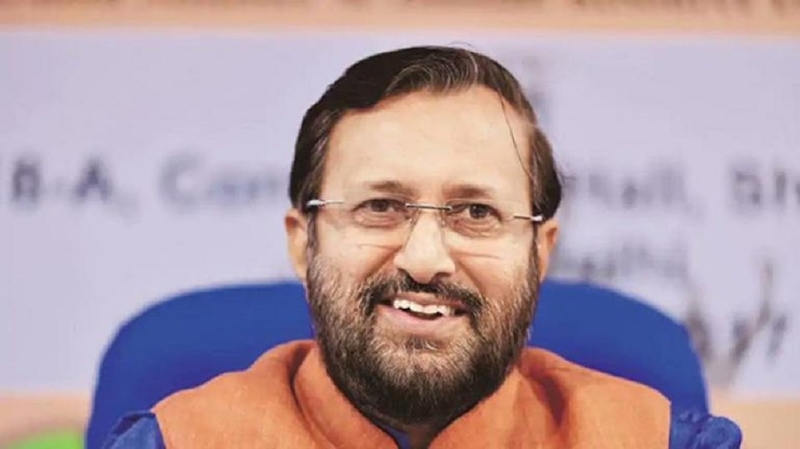 UNION Minister Prakash Javadekar on Monday said people trust Prime Minister Narendra Modi for the progress of the country, exuding confidence that the BJP will win the upcoming Lok Sabha elections with a higher margin than 2014. “Key issues of the election are who will be the Prime Minister and under whose leadership the country will progress and will be more secure. The only answer to the issues is Narendra Modi,” Javadekar said, addressing a meeting here. Javadekar, who is also BJP’s election in-charge for Rajasthan, said the party will cross the 300-seat mark as people who knew Modi as Gujarat’s Chief Minister during the 2014 Lok Sabha polls have now seen his work as the Prime Minister in the past five years. He said Opposition parties have made efforts to form a grand alliance after realising that they cannot fight the BJP alone, but the Congress and the Trinamool Congress are contesting election separately in West Bengal. State BJP president Madan Lal Saini said booth level workers should work actively ahead of the Lok Sabha election and should strengthen the BJP by taking works and schemes of the Centre among the people.